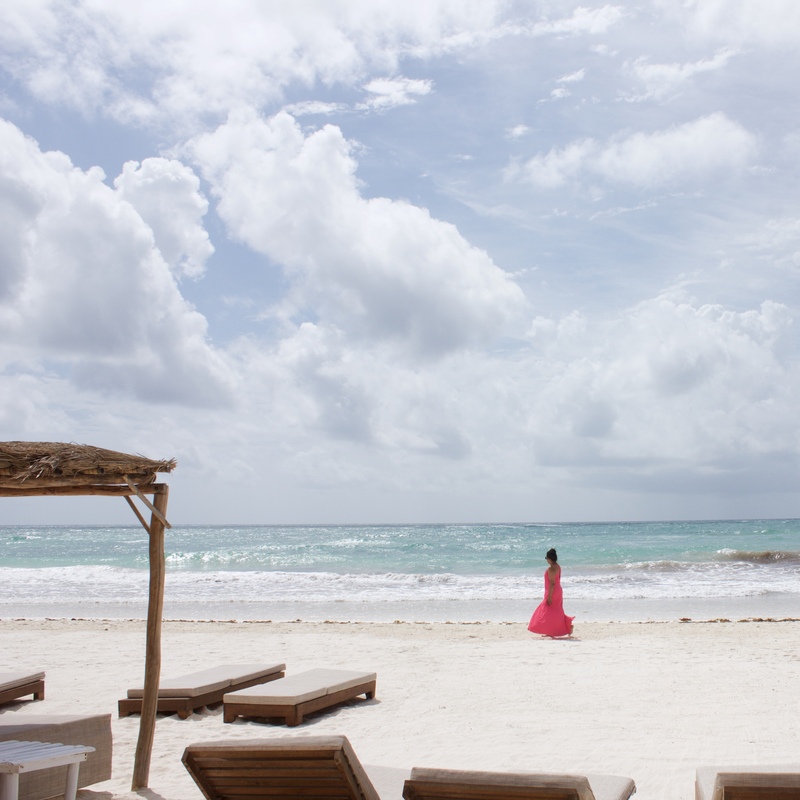 I went with two of my cousins, and I wanted them to fall in love with Tulum, just like I had! We decided to take the risk & stay here, and boy am I glad we did – it was the perfect experience! All the modern amenities – a/c and private bathroom (there are also room options with shared bathrooms – these options are cheaper, and absolutely recommended, as the shared bathrooms are also impeccably clean)! That hammock absolutely was as dreamy as it looks. I spent my fair share of time laying on there, reading a book, and listening to the ocean. The room has a screen door, so you also have the option of sleeping to natural air and the sounds of the ocean. Literally, the view I woke up to! How can you beat this?! Location: Of course, I loved that this hotel was practically on the beach. It was perfect for my morning ritual – wake up at the crack of dawn, walk down to the beach, be grateful for where I was standing, and …. just …. be! 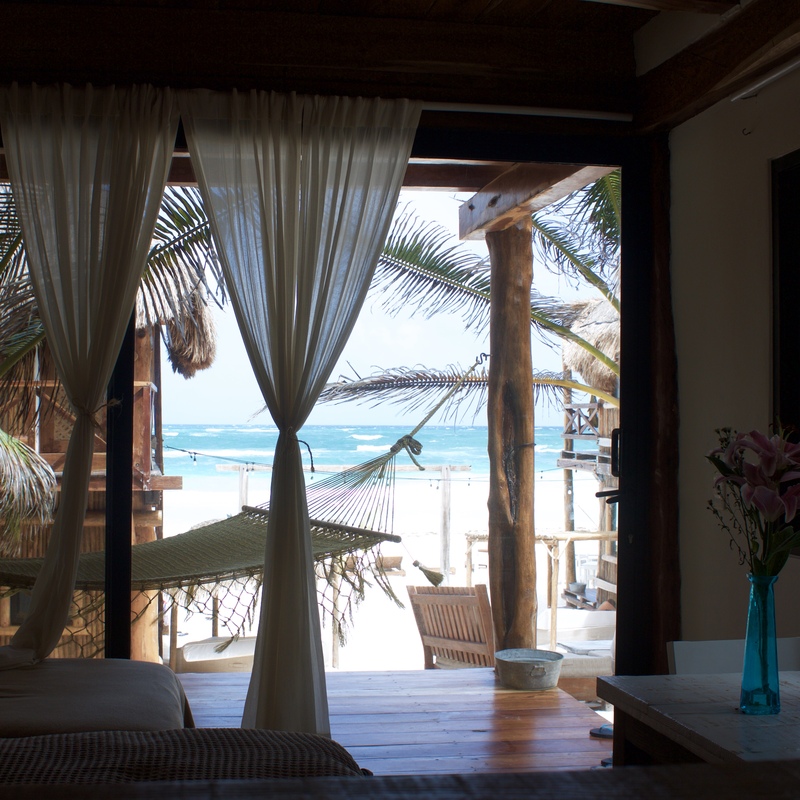 What I also loved about Hotelito Azul Tulum, though, is that it’s centrally located on the hotel zone. You can walk to tons of restaurants/bars/other beach properties from here. Hotelito Azul, at sunset, on my last evening! 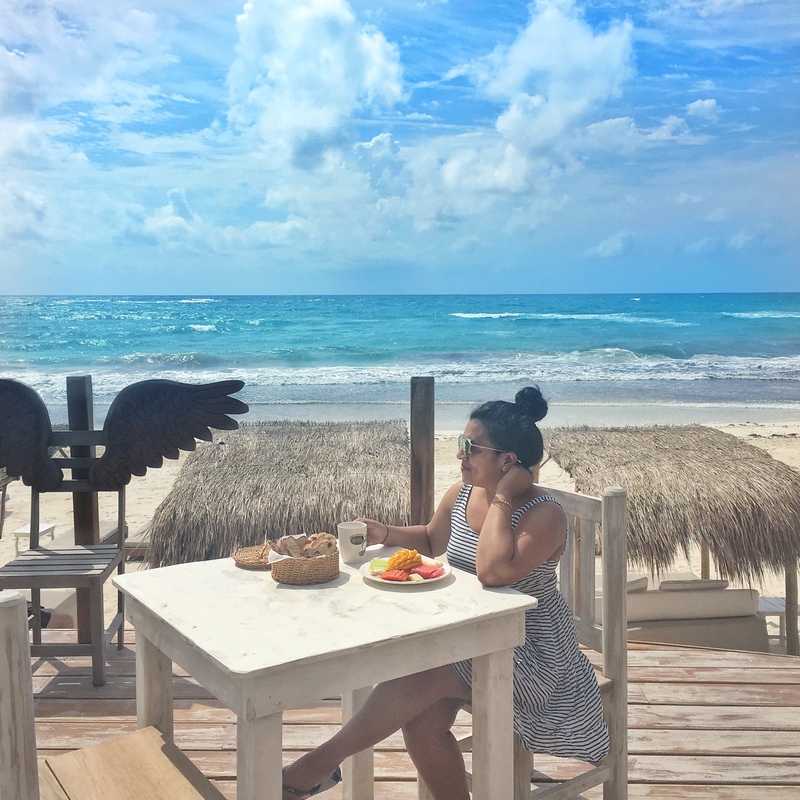 Additional perks: One of my favorite things about staying at Hotelito Azul Tulum was the fresh breakfast every morning, on the beautiful sun terrace, and it’s included with your room! One of my favorite pictures, from this trip, was taken right on this sun terrace! The property also has a restaurant and bar on-site – yep, you can also have lunch or dinner on the sun terrace. 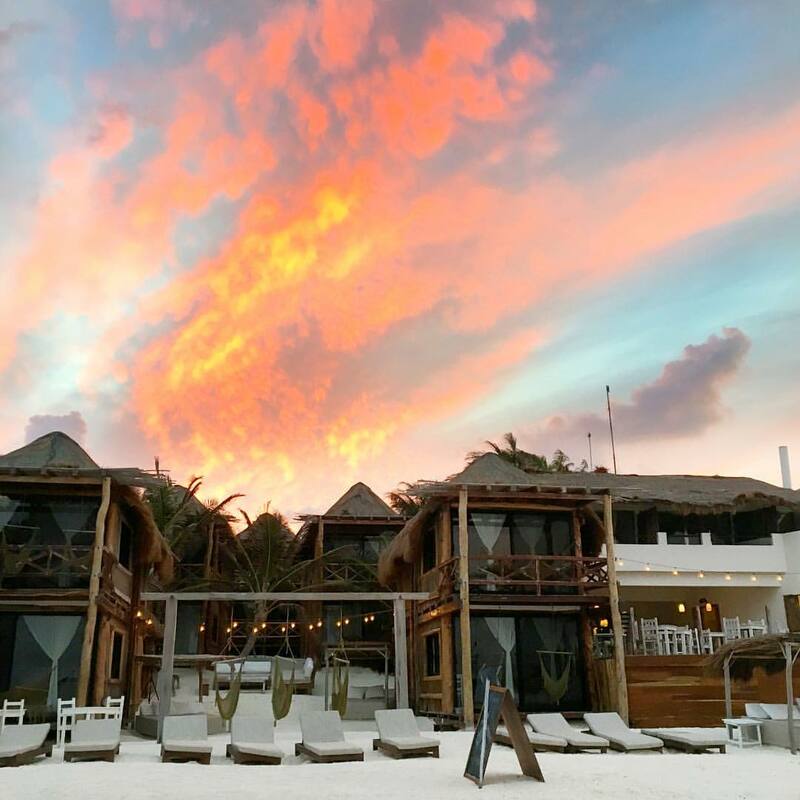 Another fun thing is that if you give the hotel like a day’s notice – then can also arrange for rental bikes for you, and I’d definitely recommend riding around Tulum! This view + fresh breakfast every morning! The Staff: Last, but certainly not the least, the staff. 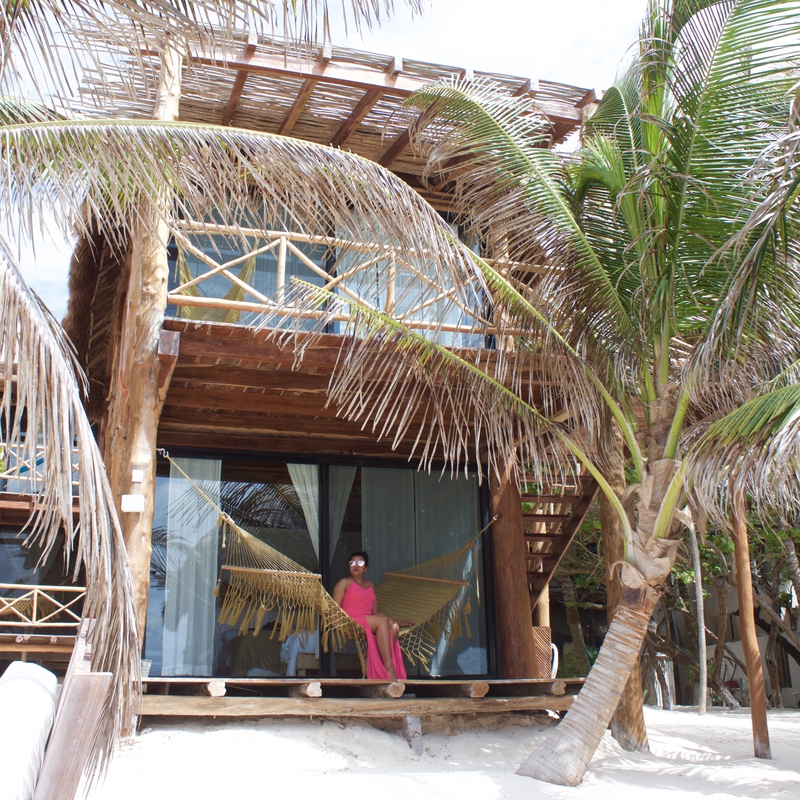 Everyone that worked at Hotelito Azul Tulum was incredibly sweet and accommodating! They were always eager to help, in any way that they could, to make our stay perfect! Also, they had some awesome recommendations for things to do/restaurants/etc in the area. 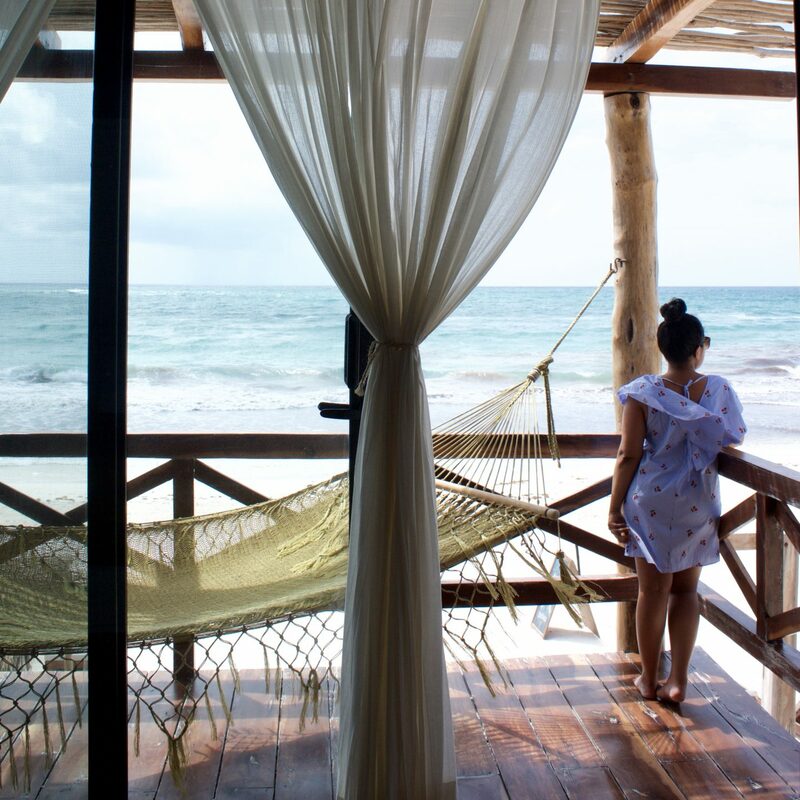 If you’re considering a trip to Tulum, I would definitely recommend checking out Hotelito Azul Tulum! 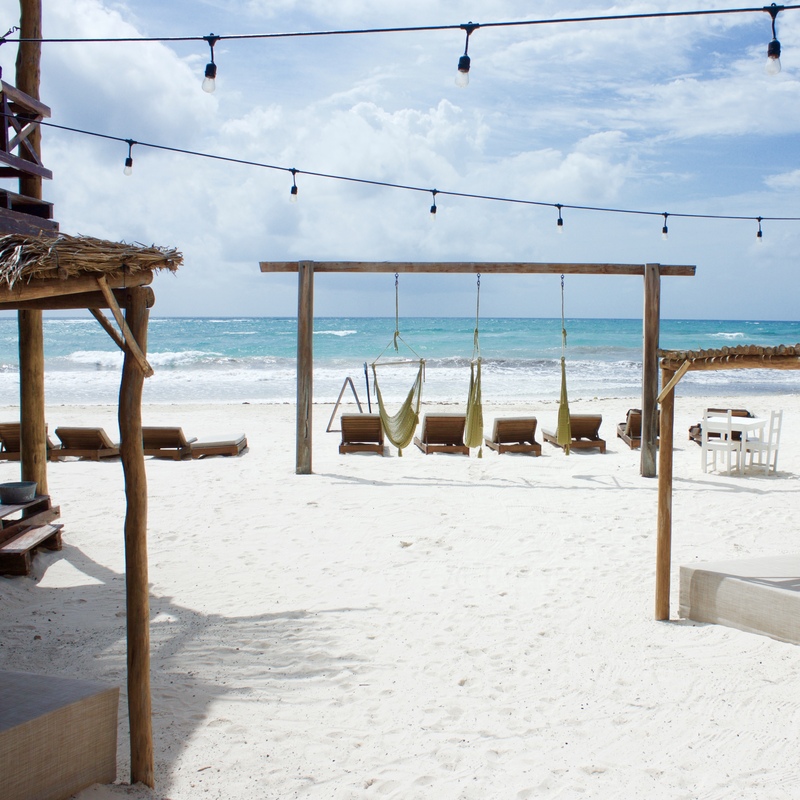 If you have any questions about the hotel, or about Tulum, feel free to shoot me an email! And if you don’t have any questions – send me an email anyway and say hi! :) I’d love to hear your thoughts on the new site!